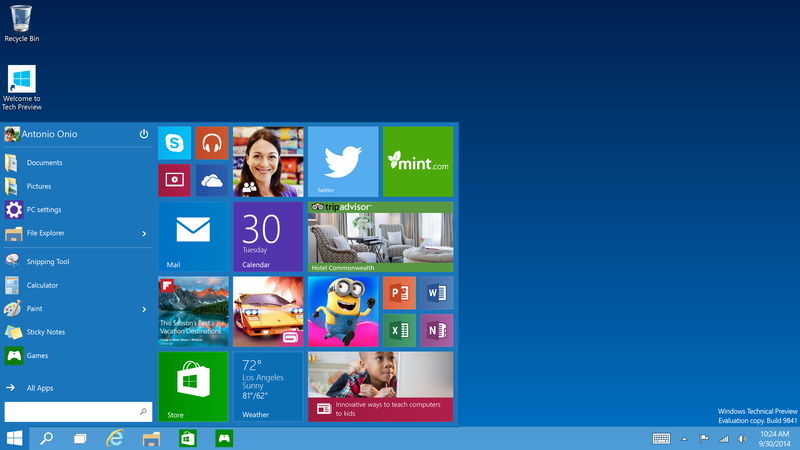 So what happened to Windows 9? 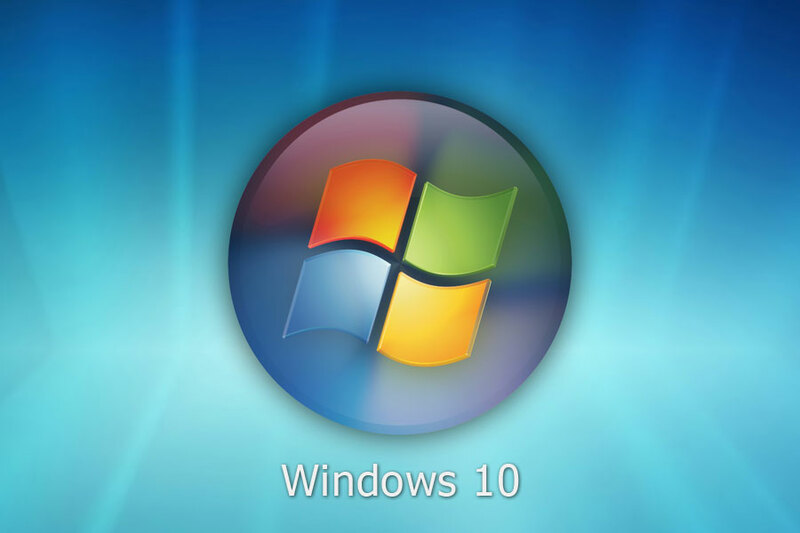 I rather thought that was due out this month, alas, the new face of Windows is to be known as ‘10’, perhaps like Bo Derek in the film ‘Arthur’, something to aspire to for this release of Windows operating systems. I gather that Microsoft claimed that W10 was such a leap from 8 that calling it Windows 9 would not do it justice. Groan. The new Windows10 appears to be a combination of Windows7 and 8 taking the better part of both and introducing new and major capabilities which overall looks endearing to the user and should make W-10 the best Windows OS yet. At this stage only the technical preview has been made available and the finished product is now scheduled to be launched around June or July next year so much can yet be changed or modified before launch date. in one way to be the opposite of Windows 8 because W-8 is first and foremost a touch screen system whereas W-10 harks back to how W-7 operates – and versions before that – albeit with nice improvements. From the screen pictures the first to strike you is the added start menu, which by the way can be customized in a number of ways. Next there is a task view button similar to one found on Apple’s OS X Expose and when you click it you trigger multitasking which allows you to launch a new virtual desktop with multiple applications and jump between them. These can be manipulated for size and place in a number of ways. As the virtual desktops will continue to run in the background the potential productivity of W-10 is greatly increased. New icons have appeared for file explorer and for desktop and Microsoft has confirmed that W-10 will also be the next major version of Windows Smartphone. You may wonder if you’ll be able to upgrade from your current OS and it is thought that settings, personal files and most apps can be kept if you upgrade from W8, W8.1 and W7, but not from Vista or earlier requiring clean install. No doubt there will be a lot more information coming out in the months to come, meanwhile keep the powder dry and enjoy your present system. 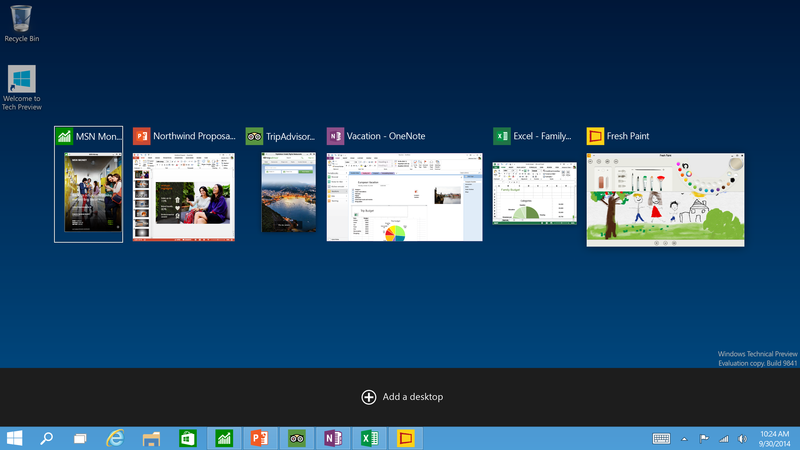 This entry was posted in Tech-Trends and tagged Kapiti SeniorNet, Microsoft, Windows 10 by Thor. Bookmark the permalink. This may well be what Windows 8 should have been. 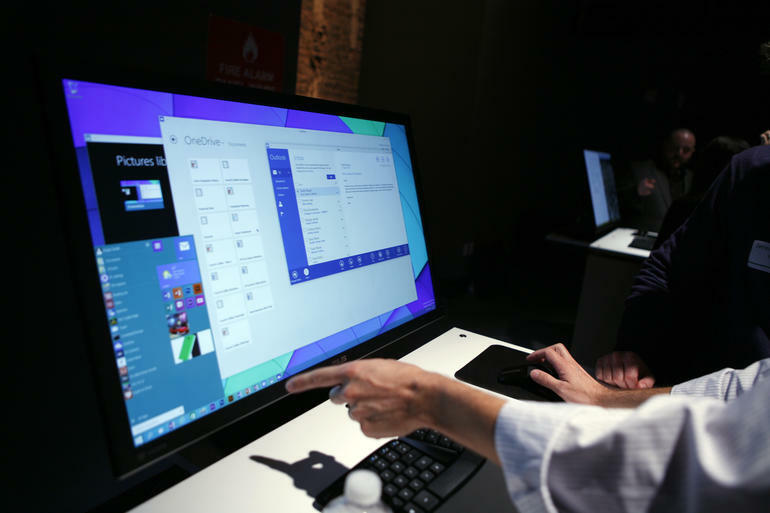 If it is not a free or very low cost upgrade Microsoft will alienate even more users.